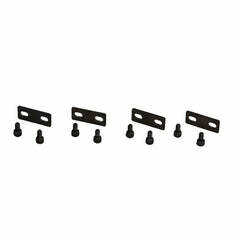 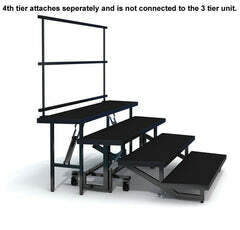 Add Strap with Ratchets to tie down Riser on Trolley ? 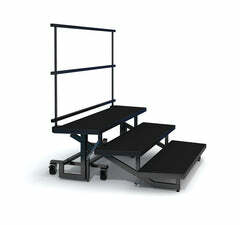 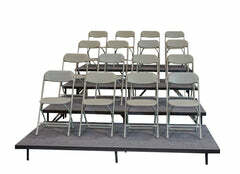 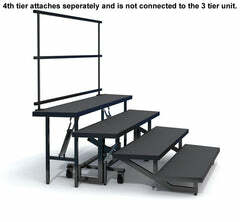 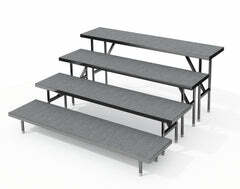 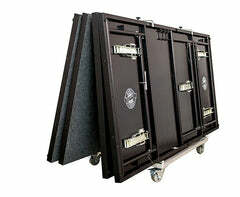 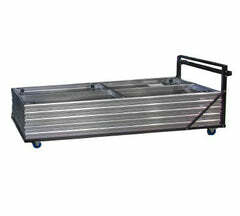 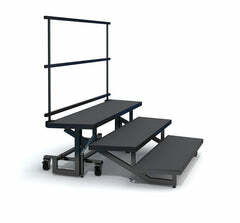 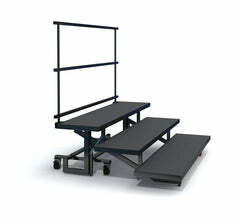 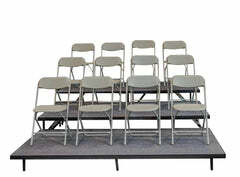 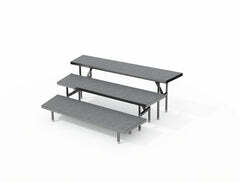 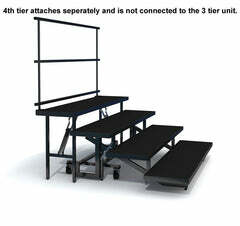 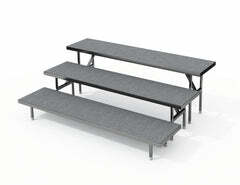 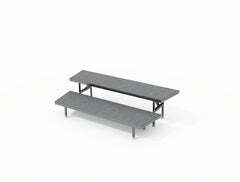 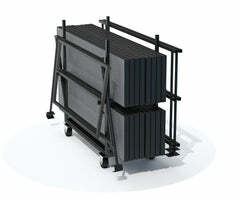 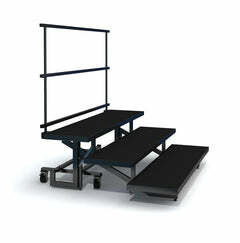 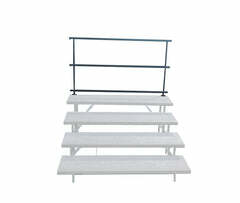 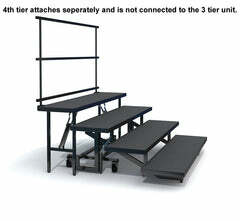 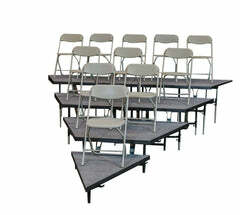 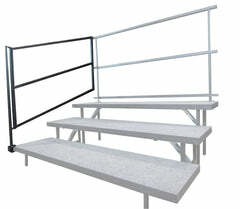 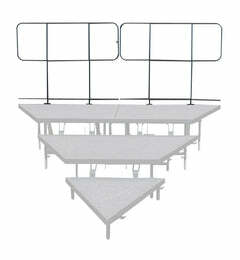 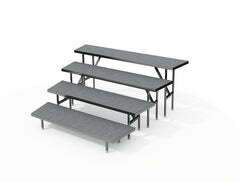 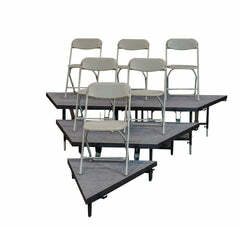 This Trolley holds the following combinations of products: one pc of wedged 4 tier seated riser or six pcs of 4’ x 8’ seated riser platforms, or two pcs of 3 tier straight seated risers There is also an optional ISSTRAP (Strap with Ratchets) that can be added to tie down the risers to your trolley. 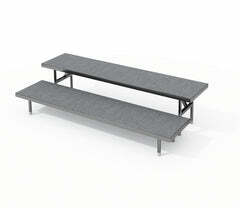 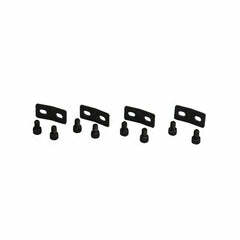 The strap is 5.2m long and 2mm thick and made from high strength polypropylene filament yarn.